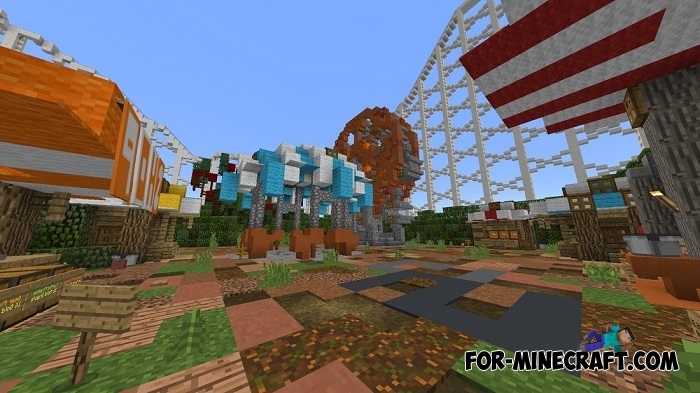 Enough parkour, it's time to visit the colorful and fun carnival with friends. A whole team was working on this map to eventually create a great place for a company of friends. If you look at the map from above, you can see that the entire area is divided into play areas and they are all completely different. This is the main advantage of the map - you can touch funny mechanisms and then go on the mini-games. 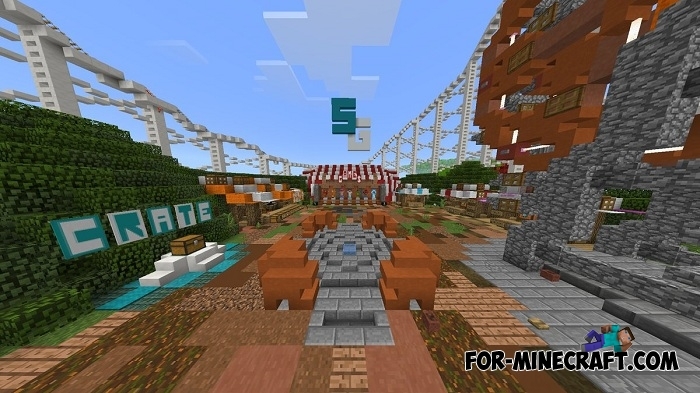 Monotony is the thing that's not here so Sky Games Carnival can be an excellent gaming area for any Minecraft Bedrock server.